Hello everyone! 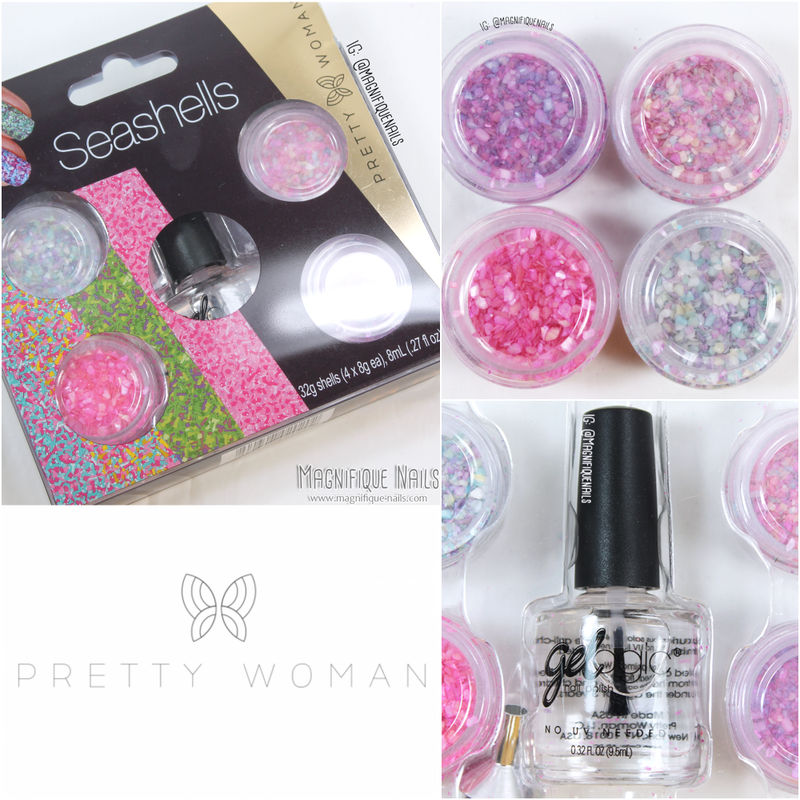 Although summer is at it's end, I wanted to take the chance to create a last 'hooray' to summer using Pretty Woman Seashells kit. 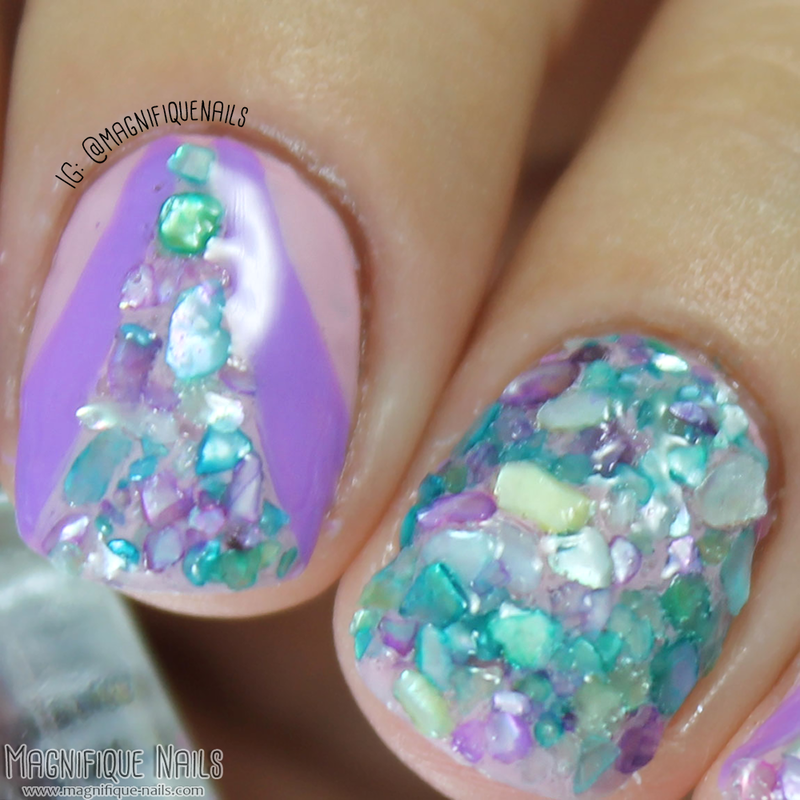 Now I never...curious...but never used any assorted crusted seashells for nail art, I just wouldn't know what design to do. So that actually was the result in what happened. I just didn't know what to do! So while I was browsing online for some ideas, I remembered one of my favorite nail artists Emun from Nail Polish Distraction on Tumblr. She creates many unique and absolutely perfect nail art designs, especially these seashells. Finally having my inspiration, I opted to do just one of her designs. Although I was a little skeptic on using these, I a few questions came to mind: 1. Will they apply correctly, especially the large chunks, and 2. Will this sealed perfectly on the nail, so some seashell won't fall off? Well since I have tested as you can see on the design below, they actually are very easy to add onto the nails, and with their clear polish and a cost of top coat, it sealed perfectly. Even going out, none of the seashells came off, so that's a plus. Within the kit it comes in with a Gelogic Top Coat, four small containers with various pink, purple and teal seashells and a small funnel. The funnel was fairly easy to use to pour the leftover seashells back to the jar. Now for the design, I applied three coats of Light Pink, for the base. Once the polish was completely dry, I then created a curtain like shape using a nail art brush, with Sittin' Pretty. I think this color combination fits perfectly with one of the seashell I wanted to use. 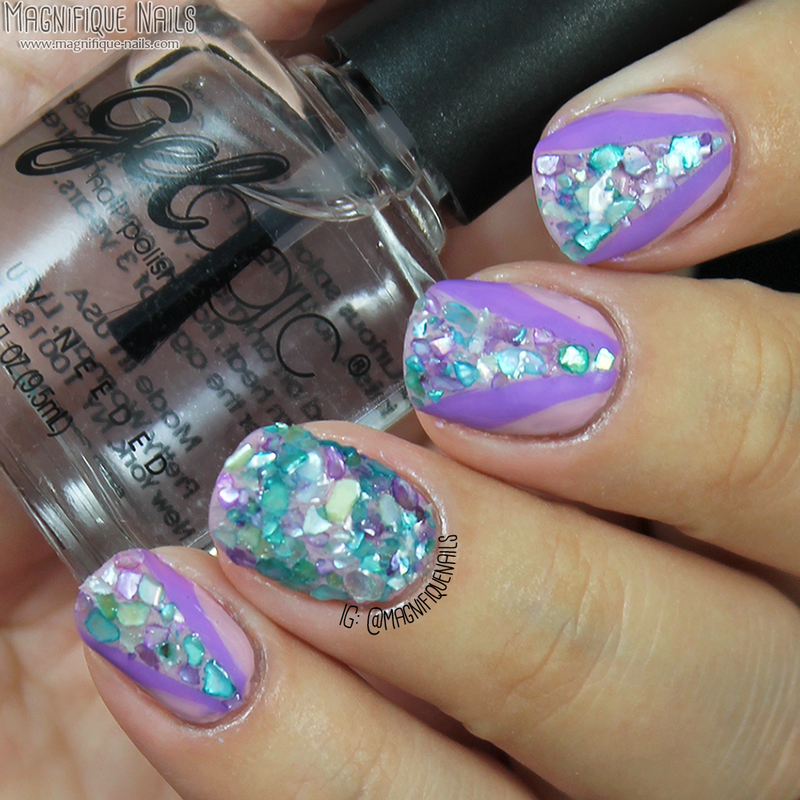 Once that was set, I then applied top coat on the areas I wanted the seashells. I continued the process until I had the base, at least, coveted. Lastly, I applied at least one coat of Gelogic clear polish, but for good measure, I also applied a thin coat of another layer. Overall I really loved how these came out, and I didn't struggle to apply the product. They are available now, and retail $7.99 on their site.